Surry Hills turned out to be my favorite neightborhood in Sydney. I’d read about it in travel books and, without asking the concierge, decided to walk there to check it out. 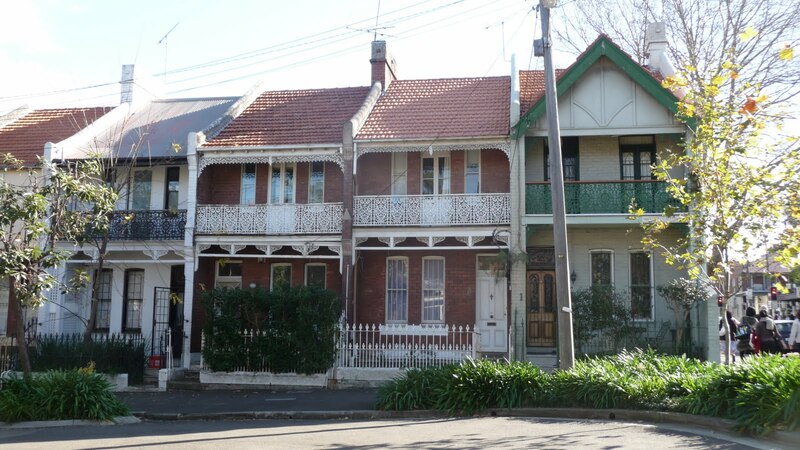 The architecture in the neighborhoods of Sydney is adorable. The city reminds me a lot of San Francisco, with its narrow and colorful houses. 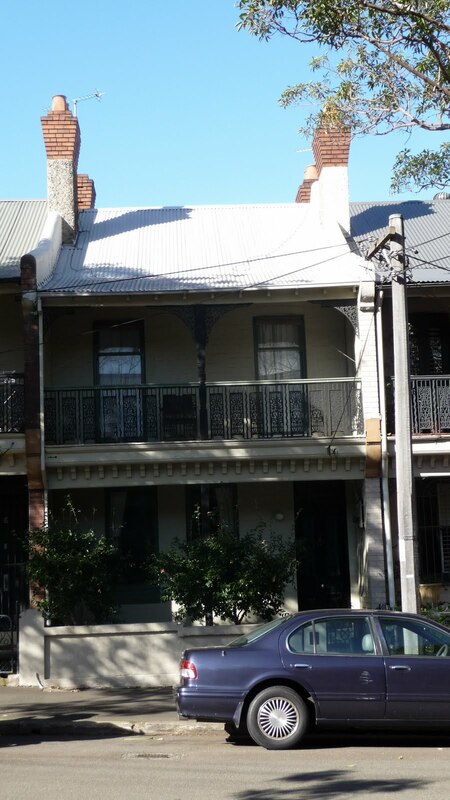 This is a terrible picture, but I was trying to capture the wraught iron railings that are everywhere in Sydney. They look almost like lace, very delicate and detailed. 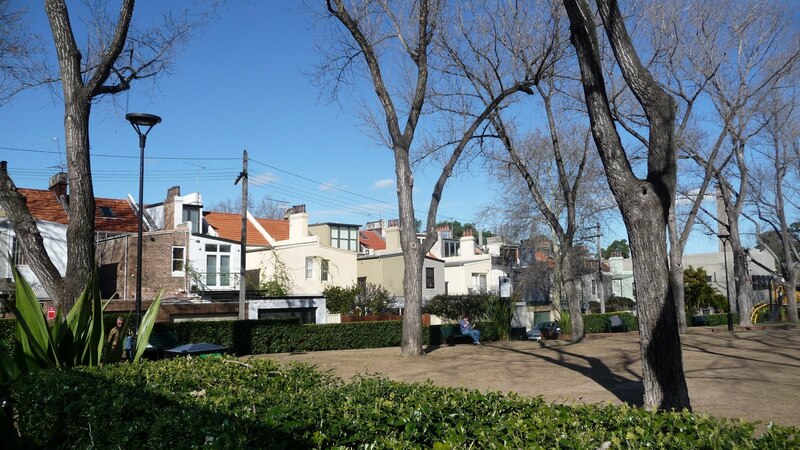 This park in the middle of Surry Hills was lined with the back of a row of houses like the ones above. If I was to move to Sydney, this is where I’d want to live. In Surry Hills, I shopped at the vintage stores and had a snack at a cute cafe. We actually came back to this neighborhood for dinner that night and discovered a delicious (and cheap) sushi restaurant that I went back to for lunch the following week. 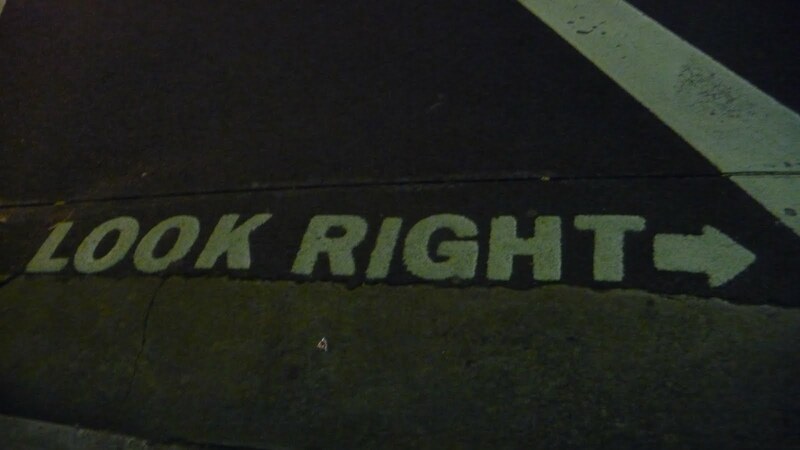 One thing about walking in Sydney (as I walked EVERYWHERE): the cars drive on the left side of the road, so when you’re walking, you have to be careful to look the correct way as to not get hit. Up next: a two beach weekend! Stay tuned!